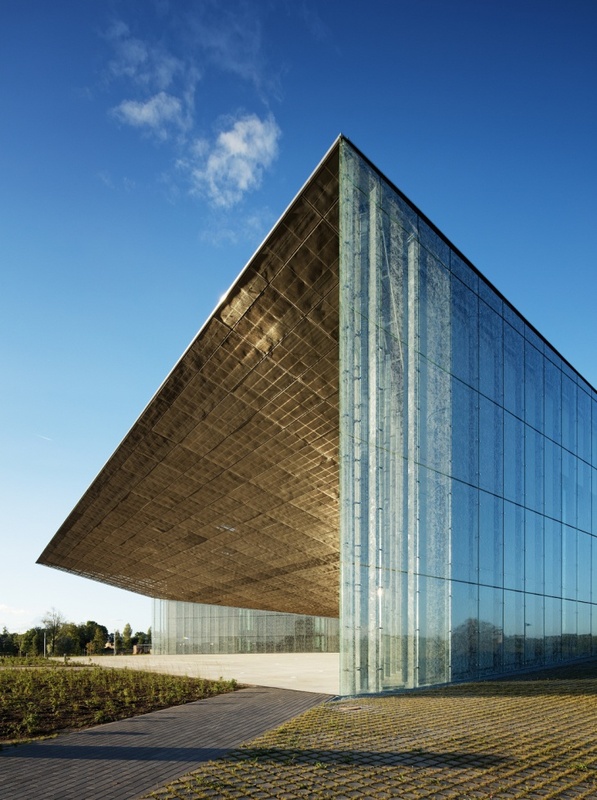 On the 1st of October 2016, Estonian history will be written with pride by three talented young professionals from three diverse regions, when the Estonian National Museum will open its new building, designed by the Paris-based DGT Architects. The three talented architects – Lina Ghotmeh, Dan Dorell and Tsuyoshi Tane hail from France-Lebanon, Italy and Japan respectively. A chance meeting in London brought the trio to join hands to enter the Estonian National Museum International Competition. With their first joint efforts, their spectacular design concept was adjudged as the winner, beating other talents in a tough competition. They have etched their glorious names forever with their first project. 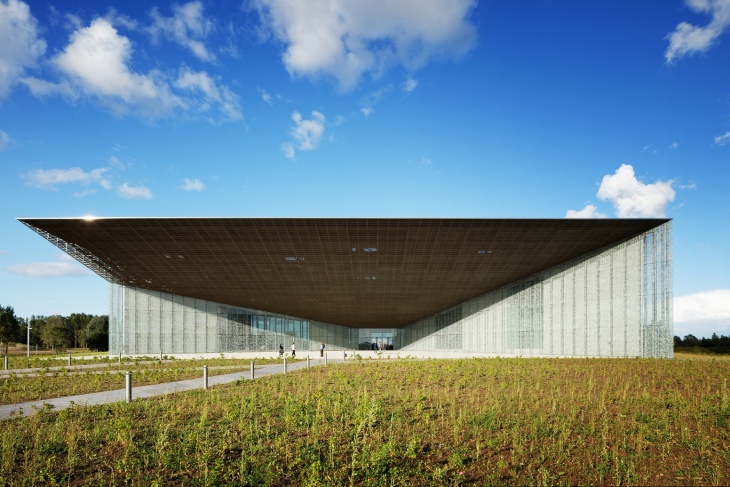 DGT Architects, winner of The GRAND PRIX AFEX 2016, awarded by the French Architects Abroad Award by AFEX, in partnership with the French Ministry of Culture, the French Ministry of Foreign affairs and the ‘Cité de l’Architecture et du Patrimoine’ every 2 years, has created a name for themselves in the world of architecture. 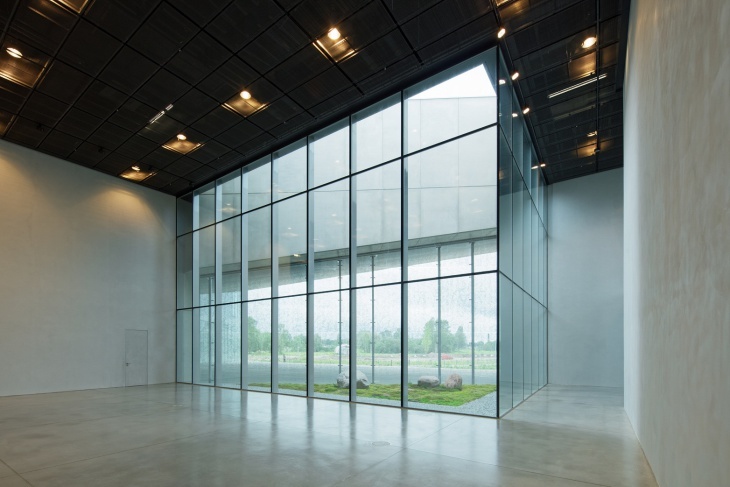 The Estonian National Museum has taken almost a decade, since the initial competition stage, and is all set for the opening in another two weeks’ time. DGT Architects has won various prestigious awards in this period to establish themselves as the young visionary architects, designing extraordinary projects in various parts of the world. Lina Ghotmeh’s design for a 14-storey Tower, dedicated to innovation and sustainable food industry ‘réalimenter masséna’ has just been awarded the 1st prize by the city of Paris. Lina has also taught Architecture at the École Spéciale d’Architecture from 2008 to 2015, as an Associate Professor. She has lectured, led workshops and juries at institutions including Parsons School of Design, Paris; the Rhode Island School of Design, RISD, Providence; the Royal Academy of Arts in London and Columbia University in New York. 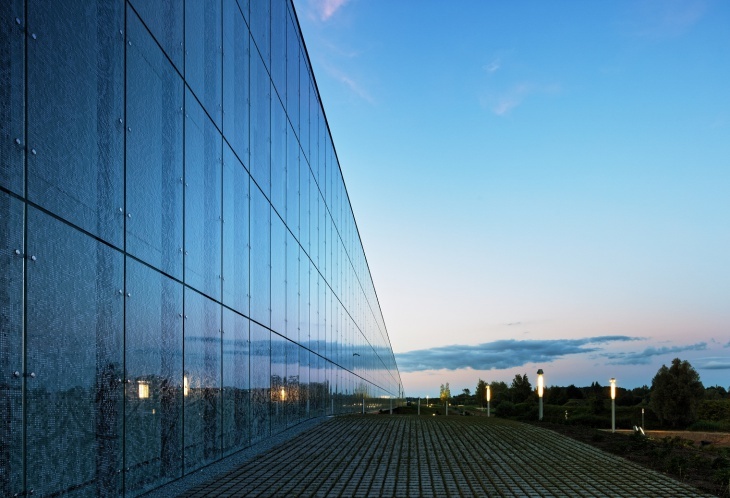 Johnny D talks to the visionary talented architect Lina Ghotmeh about the Estonian National Museum project to understand what goes behind such humungous project and their journey of exceptional talents. Lina also happens to be the co-author of the Estonian National Museum. Johnny D: Please enlighten about your unusual firm DGT Architects. 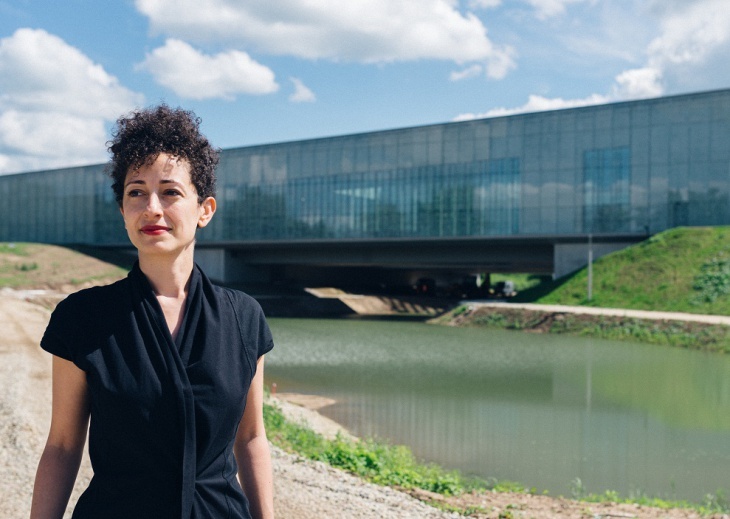 Lina Ghotmeh: I established DGT Architects in 2006, together with my partners upon winning the Estonian National Museum Competition. 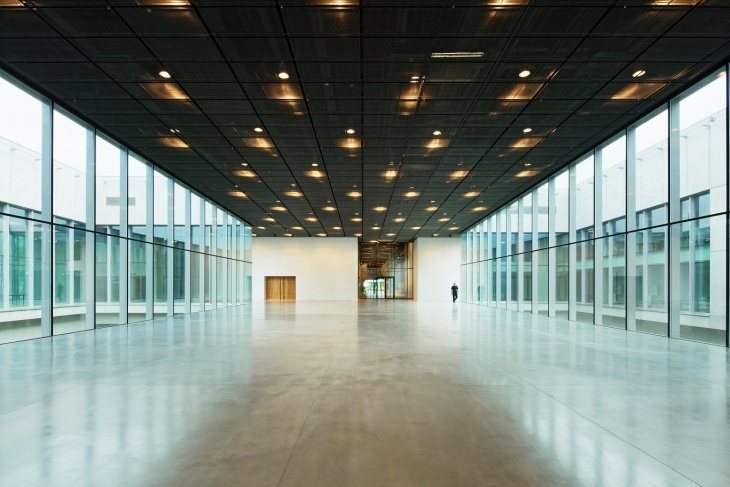 It was an adventure back in 2005, when we met in London while working in various renowned offices – Ateliers Jean Nouvel, Foster and Partners, David Adjaye Associates. At that time, I found out about the Estonian Museum Competition. I thought it was an exceptional opportunity for a unique project. It is very rare that a museum of this scale is set as an international and open competition. The site, the story of Estonia and the role this museum could play for the country were also compelling. Having met Dan and Tsuyoshi, I proposed to them to make a team and venture into submitting our proposal. We worked through the nights, thinking through a site specific project. Winning this project allowed us to set up our office and put into one platform our cultural sensitivities, because we all come from different backgrounds. Today, we lead each one of us in different projects around the world, ranging all scales and types. JD: What are the various projects, your firm is currently designing in various cities and countries? Choosing a site in the 13th, I had to put together a multidisciplinary team for financing the project, programming, exploiting, innovating, etc. It was very enriching to orchestrate this project, from its birth to its actual operation. The theme of interest that articulated the building was Food – Food as a culture, a theme that is tightly linked to earth and the environment. Another project under construction is a building in my birthplace Beirut. This is a special building in which I tried to portray the actual situation of Beirut, where we see its buildscape marked with war-torn buildings invaded by nature. 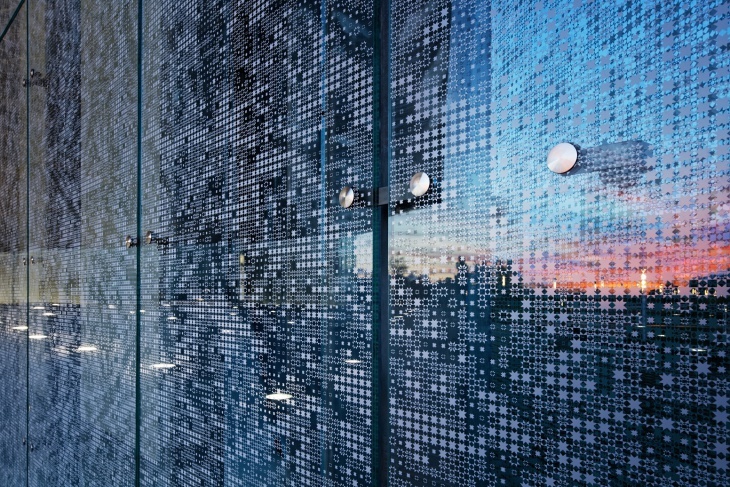 The city is in full transformation at the moment and the idea was to make a building, which is able to transform in time and would live through. 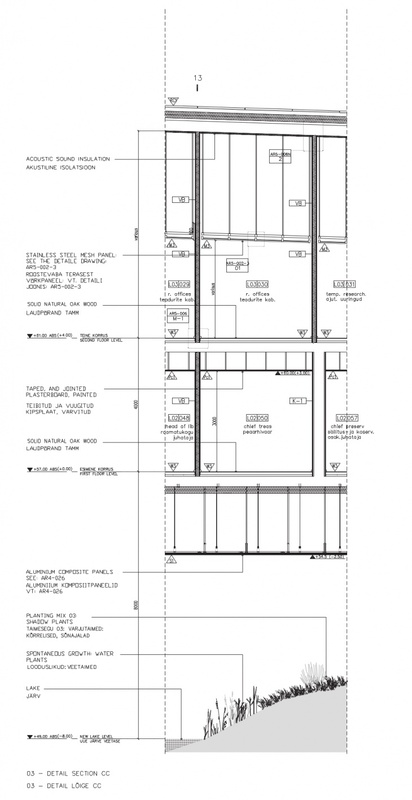 Other ongoing projects, as well as scenographies, interiors and competitions are part of DGT Architects. JD: You established the firm after winning the prestigious competition unlike other architectural firms in the world. Please take us through the journey of DGT Architects. 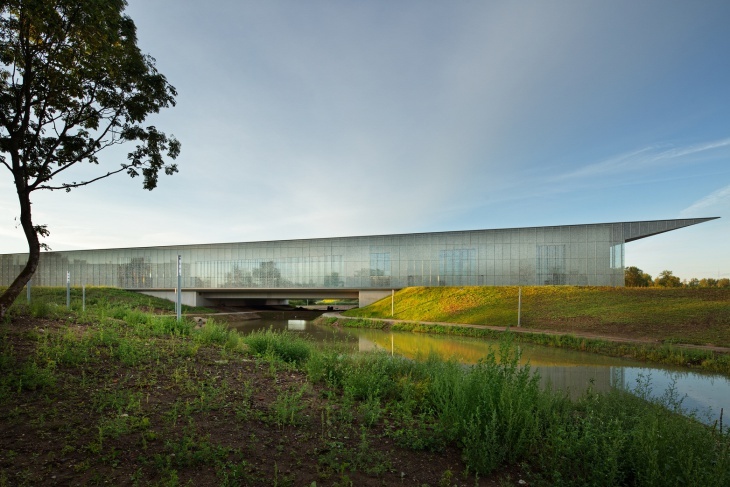 LG: Yes, the Estonian National Museum Project has been the reason of our partnerships. It has accompanied us for 10 years. We have put all our patience, vision and effort to lead it into realization. Estonians have been very visionary and supportive for this project. 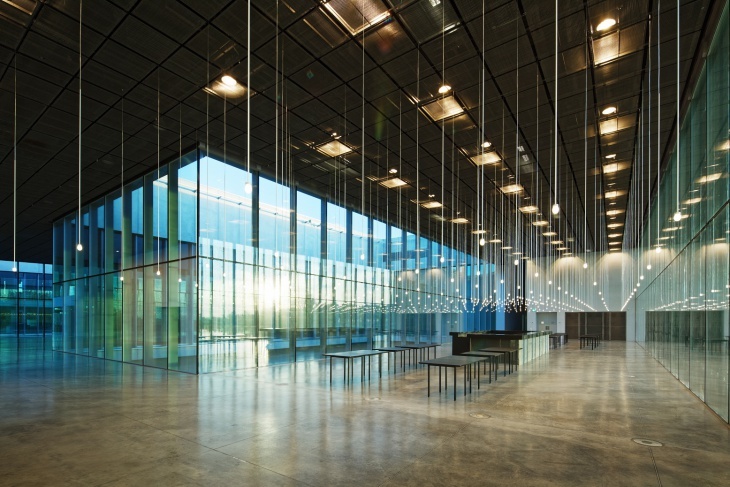 It is not easy to make a 34,000m2 museum for a small nation like Estonia. 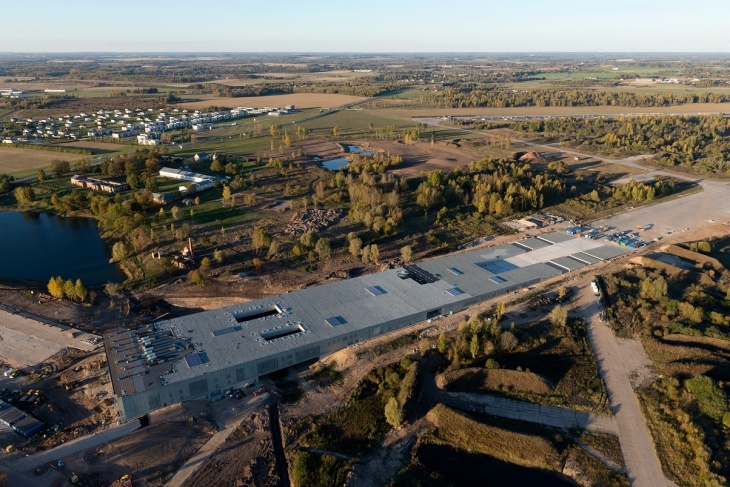 It is symbolic in nature, because the project is not only a 10-years project for Estonia, but also it is the story of 100 years’ time and the struggle for their independence for making this museum to happen. Within these 10 years, we have worked on various competitions, projects and challenged our collaboration. Today, we have reached a turning point in our career. I am really excited to see what the future will hold for us! JD: Deep in your hearts, did you expect to be honoured with the highly prestigious award of GRAND PRIX AFEX 2016? Please share your feelings, when you heard the news. LG: This is a great Award given by a very prestigious and supportive institution for French Architects, the AFEX. 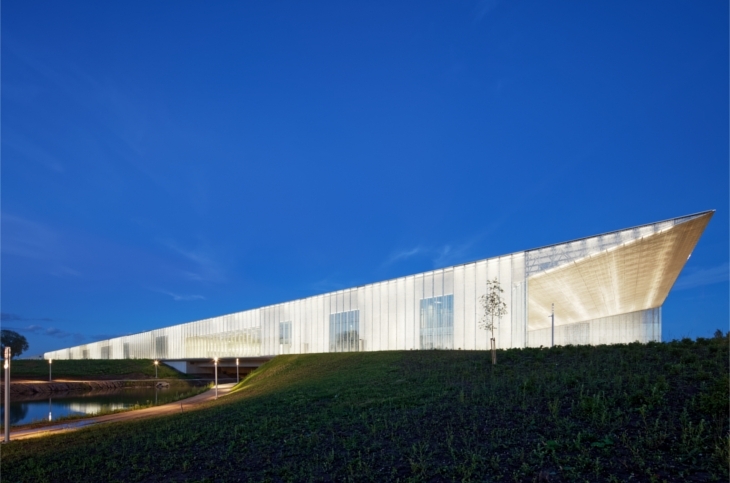 The association is presided by Architect François Roux and is directed by Madeleine Houbart. We are very honoured to receive this award, especially given the big quality of works that were shortlisted and finalists, like Portzamparc Associates, Dominique Perrault, etc. This award has also allowed us to share this project more widely with the public and with important figures during Venice Biennale. The emotions, which were transmitted by people was very touching! 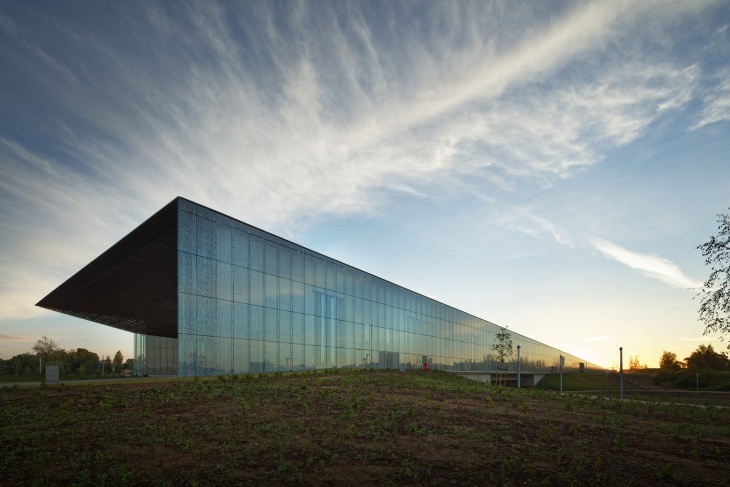 JD: Please tell Design Trends’ readers about the magnificent Estonian National Museum Project. 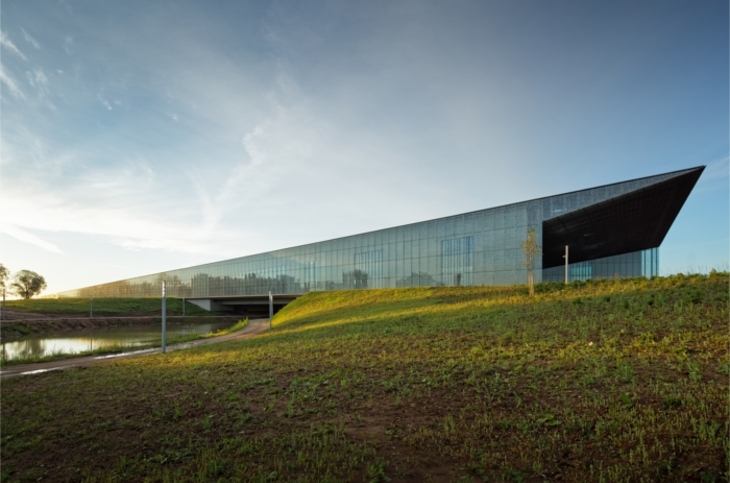 LG: The Estonian National Museum is set in Tartu, the cultural capital of Estonia. It is in the Raadi area, adjoining one of the largest dismantled ex-soviet military airfields. The site is 10-minutes away from the city center, yet it has been left out. It bears the memory of the occupation and is a sublime combination of wasteland and a beautiful landscape. This site was also the place, where the first National Museum building has been established on the reminiscent of a manor house. 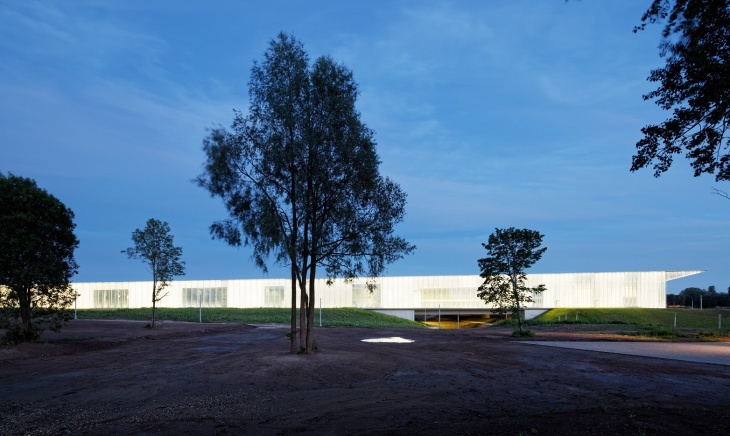 In this context, the museum had to play an urban role, a generator which is able to transform the history of the site into a positive and productive future. 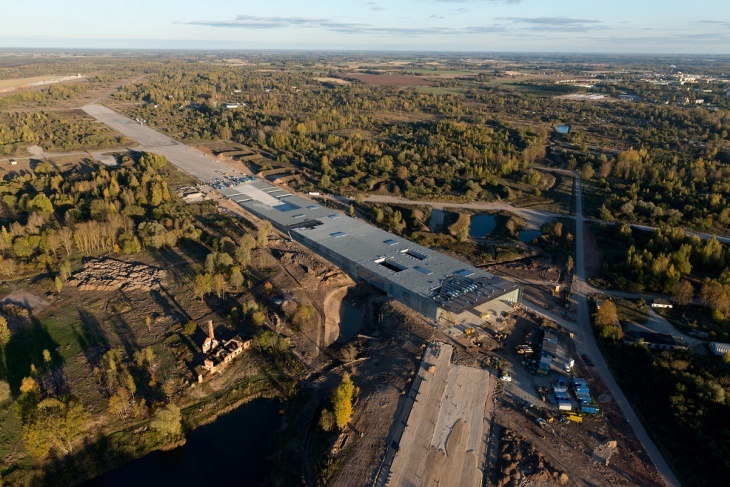 It felt evident (even if, none of the competitors proposed that) to connect with the existing runway, to extend the museum building into an endless territory, into this open land, which could become a place for the Estonians an international expression. 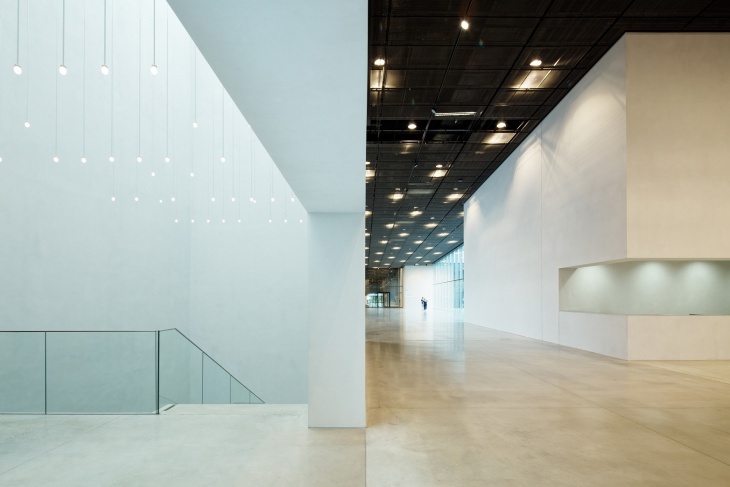 The museum building is drawn in extension with this open space. It tends towards an infinite space on the human scale, opening up into a 1km length platform and prolonging it into its roof. 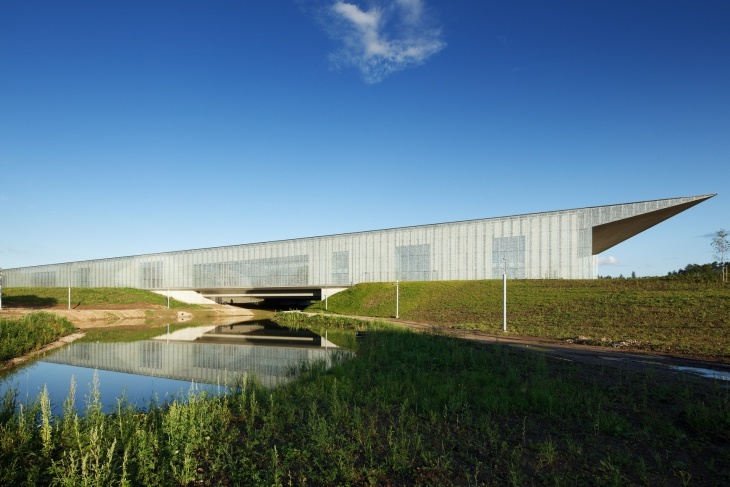 The past takes off into the bright future, which is the museum building – A building which dialogues with the landscape, disappearing from the airfield side, becoming monumental with a 35m cantilever from the city’s approach side and disintegrating into an open bridge above the lake, reflecting the evolving landscape in its skin. JD: Was there a specific brief for the project in the competition? If so, please enlighten our esteemed readers. LG: Yes, of course! The brief was very nicely written to inspire the project. 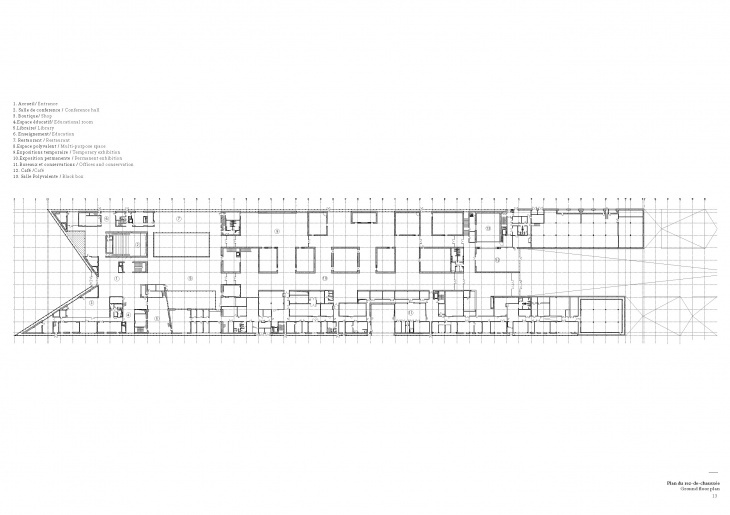 The organizers aimed for a building, which would become a memory landscape, a place where the Estonian identity could be continuously built, and a place, which would become a cultural and educational house for the country. Of course, the brief did not mention the painful history of the site and neither did it mention the military airfield. The latter was our work of discovery, intrigue and research. We had to ask the critical questions about what this museum could ultimately become. JD: Please specify 5 major challenges faced by the ‘Team’ while designing the master plan. Phasing: to think of a long term development, which could take its time to be built and resist any immediate commercial development. JD: Please specify Lina Ghotmeh’s systematic approach and process of Designing Priorities. LG: My approach is first research-driven. As an architect, I feel I have the responsibility to make architecture reach out to people, to users, to geography, history. Every project is a question, which needs to be asked and responded to, but also every project is generator of situations and multiple possibilities. Sometimes, I feel my work is like that of an Archaeologist, digging down discovering hidden treasure and stories to bring back traces and making ancient situation alive, and a place, which could respect its environment and bring forward what can be unique in each site. JD: How much credit do you attribute to the conscientious efforts of the civil engineers to give shape to architect’s vision? LG: They make the material reality of an Architecture stand. 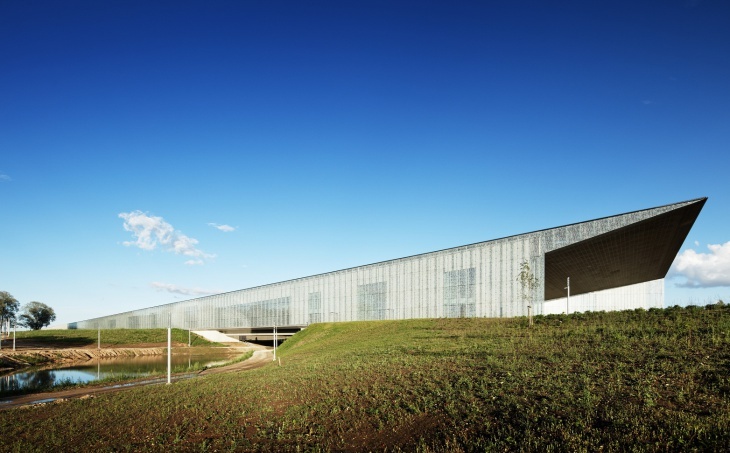 Architecture is the dialogue between the various know-how, various capacities and skills. The architect draws the vision and orchestrates the work. JD: When a project of such humongous proportions is built, it takes years to execute it. What was going in your mind during the time-period as the Design Head? LG: It is at the same time, long and short. It is the time of making what is needed. Through time one matures up, ideas become concepts, concepts become stories and stories, the realities. A design head is in constant questioning, in constant making. JD: What was the total project cost? LG: Around 65 million Euros. JD: Describe the feelings when you were honoured with the first prestigious award for your design creations? JD: Please specify 5 major ‘Sustainability’ Characteristics you have incorporated in your design creations. LG: Contextual, Welcoming, low energy consumption and Serendipity. LG: I think until now, we have been busy in the production of our work. I have never thought of submitting for an award or pursuing publications. Today, the work of each one of us is paying rewards. It is becoming a reality and drawing the attention worldwide. JD: Please share the unique bonding with your other two partners – Dan Dorell and Tsuyoshi Tane. 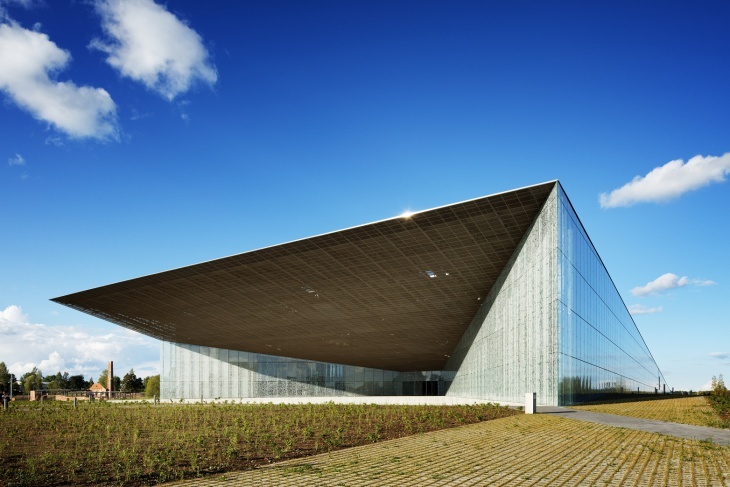 LG: The Estonian National Museum! JD: How would you describe Lina Ghotmeh as a professional and a person? LG: Passionate, persistent, ambitious, dreamy, curious, emphatic, perfectionist and humanitarian. JD: Please mention 5 Major Awards won recently by you / your firm.